ISHPEMING, MI – Robert B. “Buzz” Arvon, age 49, longtime Ishpeming area resident passed away Monday August 20, 2018 at his home. 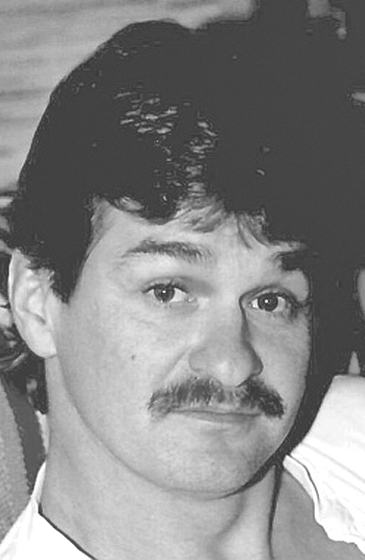 Robert was born in Laurium, MI on December 14, 1968 to the late John J. Arvon and Roberta “Bobbi” (Kitti) Arvon. Buzz was a member of the IBEW Local 906, a longtime member of the Ishpeming Ski Club where he rode the Suicide Hill for many years. He loved outdoors where he enjoyed driving with his family through the woods, finding log burl to make projects with, and assisting wild animals in need. Robert is survived by his wife: Leah K. (Lampi) Arvon of Ishpeming, mother: Bobbi A. Arvon of Harvey, 4 children: Taylor (Elliott) Burdick, Arthur R. Arvon, Alec B. Arvon, Austen K. Arvon all of Ishpeming, brother: John D. (Gretchen) Arvon, granddaughter: Gabriella R. Burdick, niece: Ashley A. Arvon, along with numerous other relatives. Robert’s family will greet relatives and friends on Monday August 27, 2018 from 10:00am – 12:00 Noon at the Bjork and Zhulkie Funeral Home in Ishpeming. A Memorial Service will follow at 12:00 Noon with Tom Prophet officiating. A celebration of life and potluck luncheon will follow the service at the Teal Lake Lodge in the Al Quaal Park in Ishpeming. Robert’s obituary may also be viewed at bjorkandzhulkie.com where relatives and friends may leave a note of remembrance.